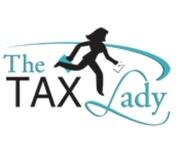 Established in 1992, The Tax Lady is a Houston Tax Advisory Firm specializing in the delivery of high quality, professional tax accounting services and business solutions to help our clients in Houston and nationwide minimize their tax liabilities, preserve their wealth, and have the peace of mind they deserve. We have decades of experience and expertise in federal, state and local taxation which allows us to quickly and efficiently provide a broad range of tax services such as tax planning, tax preparation, representation during audits, and negotiation of tax settlements to small business owners, their families, executives, entrepreneurs, individuals and estates. We are skillful in helping business owners resolve issues involving corporate income taxes, payroll taxes, sales and use taxes, personal property taxes, local business license taxes, gross receipts taxes, transfer taxes, various excise taxes, real estate taxes and personal income taxes. The Tax Lady also assists individuals and businesses with the formation of new business enterprises. We have extensive experience structuring new businesses as corporations, limited liability companies, partnerships, pass-through entities, and non-profit entities. We help clients identify and structure the best legal entity to minimize their taxes and accomplish their goals based on their specific objectives, and subsequently provide them with relevant compliance documentation and business solutions to launch their business and succeed. We continually invest in the education, research tools, and secure technology platforms to manage routine and complicated requirements from our clients in a timely, efficient, and accurate manner. We are results oriented and work with you on a personal level to determine the best solutions for your unique needs, and then leverage our seasoned expertise to achieve the best possible results. We are your trusted partner in success. Every customer receives personalized service and customized solutions delivered throughout by a single point of contact at a fair price. Barbara Brown is President and Founder of The Tax Lady. Barbara has a Bachelor’s Degree in Business Administration and Accounting and over 30 years of expertise in accounting, auditing, tax, technology and consulting. Her corporate career included industry positions in Financial Services, Mortgage Banking, Education, Manufacturing, Oil & Gas, Public Housing, Retail, Automotive, Healthcare and Logistics and Transportation. As an accomplished Tax professional Barbara has advised and assisted small business and individual clients from virtually every industry. The firm has prepared thousands of individual and corporate tax returns for clients from a wide range of industries and is available to help you achieve your goals in an efficient, timely manner. Contact The Tax Lady today to see how we can save you time, money and frustration with your taxes or business requirements.